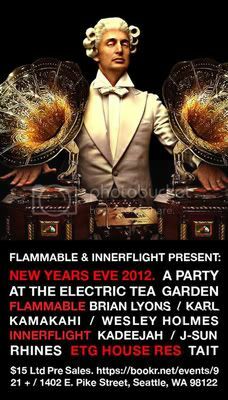 HOME » EVENTS » Where can you party your face off in Seattle on NYE? 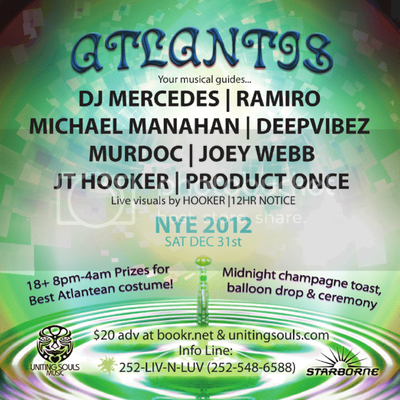 Where can you party your face off in Seattle on NYE? Well, as with every year, there are lots of options. If you’re in the loop and got the scratch you’ll be at Omar-S with me, this is however a private event so, figure it out if you want to go. For those looking to make the the more traditional rounds, here’s a list of where to find your 4/4 fix. Uniting Souls and Starborne in a new party spot. Innerflight and Flammable at ETG? Party. I’ll be playing at The Breakfast Club along with a bunch of other locals and even some out-of-towners, it’s gonna be another long night/day ringing in the New Year. Let’s do this.